NEW Children's Ranges! Fit for a Princess! TWO NEW Ranges introduced and Le Toy Van Budkins Added! NEW ranges are being added all the time at dollshouse.com and we’ve recently added 3 new ranges to the Children’s selection! From the well-known and loved Melissa and Doug range of children’s dolls’ houses and toys you can now enjoy 4 different houses and a range of accessories to complement them, from a Fold & Go Princess Castle to the more traditional Victorian Dolls House and even “fold and go” miniatures, there is bound to be something for that special gift! The Le Toy Van range, with all it’s pretty colours and high quality products has been extended and now features a selection of the charming Budkins Family Doll Set and Fairy Castle, Fairybelle Palace and even a Fairybelle Carriage And Unicorn ! Finally we’ve added a few special pieces from the Selecta Spielzeug range including the “Maxi Villa Dolls' House ”, a three-storey bright and colourful children’s dolls’ house with an open front. 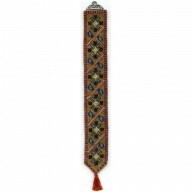 With all these great ranges to chose from the special gifts are easy to find this year! 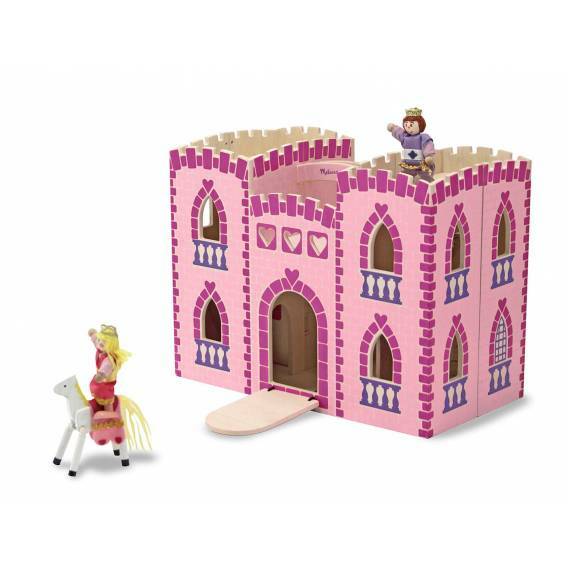 Dollshouse.com has the whole gamut from fairy castles, witches and wizards, and all the accessories those little princes and princesses could wish for. Will your dolls’ houses be “By Royal Appointment”? WOW! 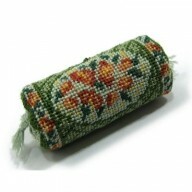 Over 35 NEW dolls’ houses and basements have just been added to dollshouse.com! 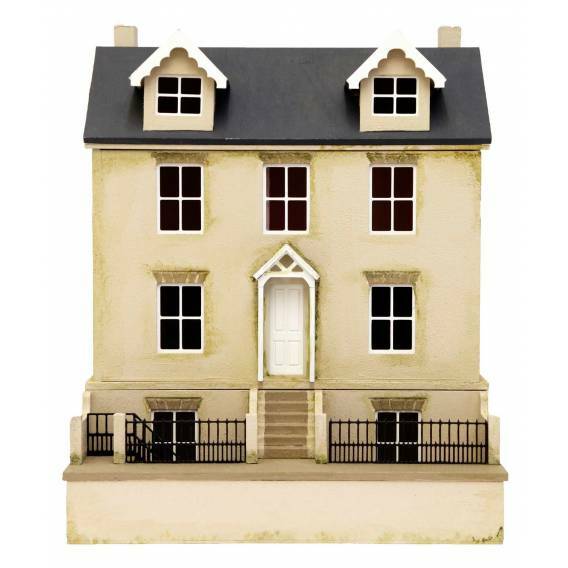 We have selected a comprehensive range of the quality dolls’ houses from The Dolls House Workshop including 2 more 1:24th scale dolls’ houses and matching basements. 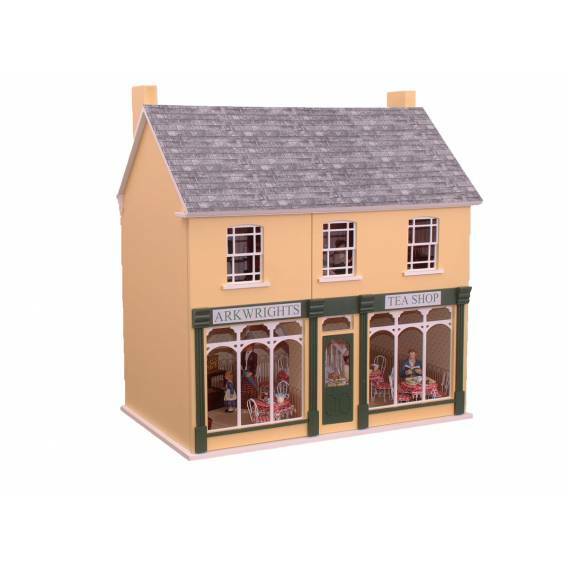 Adding another charming shop to the range with Arkwrights, a three storey property with a split front opening and opening roof panel. The big bay windows are an invitation waiting to be filled with miniature goodies! 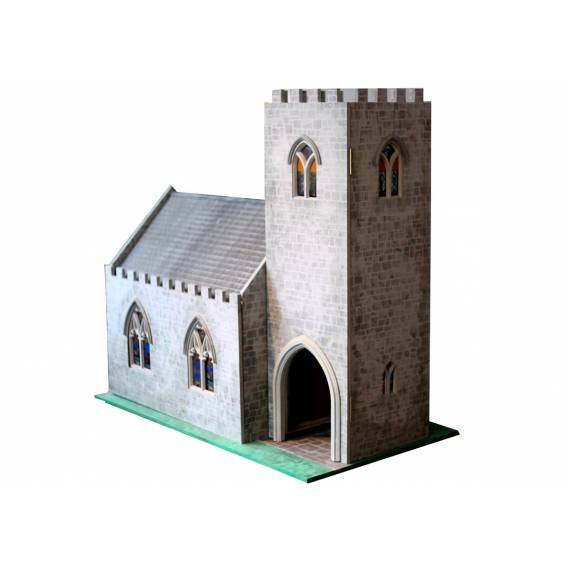 If you’ve been hankering for a church you can now pick one up from dollshouse.com and this clever kit even includes the rafters for a realistic roof. Think of all the details you could add, stained glass windows, prayer cushions and you could change it up for festivals, Easter, Christmas, Harvest Festival, lots of opportunities to let your creative flair run wild! For those looking a bit tight on space, the 1:24th scale Willow, along with its complimentary basement provides enough space to indulge your miniature addiction without compromising on details or quality. You can choose from the grandeur of “Downton Manor” to the simplicity of a room box, there really is so much to chose from and dollshouse.com is only going to continue to grow and get better and better! From 2mm masking tape to drills and clamps you can now get it all in one place. 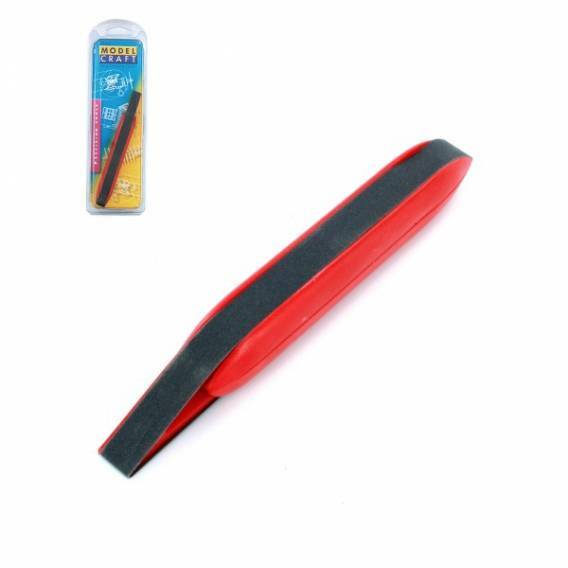 Our absolute favourite gadget though is the very clever Spring loaded finger sander, available in 3 different sizes 10mm, 20mm and 40mm this little piece of kit is going to make those tricky pieces a joy to sand! 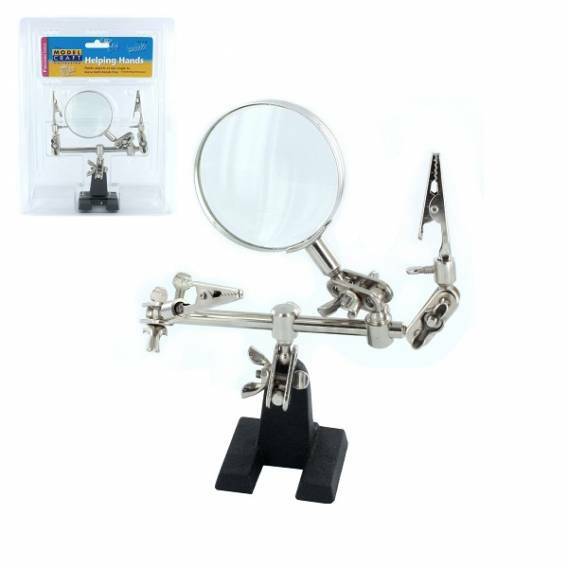 We've also got the great "Helping Hands Magnifying Glass" which has two clamps and a magnifying glass, allowing intricate fiddly work to be completed easily. The clamps and magnifying glass are all moveable and fitted with ball joints for precision work. The heavy weight base will prevent any unwanted tipping. We will be adding more to this handy tool range so keep an eye out for that tool you’ve been lacking! NEW Glow Well Products added! We know you've all been very busy celebrating and relaxing and we didn't want you to miss the NEW Glow Well range we've added to the website. These are a great range of lit fire grates and inserts that'll add life to any room in your dolls' house from smart Georgian grates to simple glowing embers that could be in your kitchen range or farmhouse. If you have a grand dolls' house, perhaps a fire with a spit would be more in keeping? Whatever you're looking head over and browse the range now to order yours! 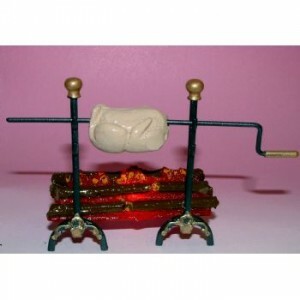 Log dog Spit with Roast - perfect in a grand house's kitchen.